When we think of wax prints, we think African wax prints. 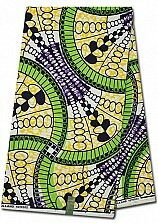 The searingly bright and boldly patterned fabrics are synonymous with Africa. However, the history of this famous fabric, now influencing fashion around the globe, is not quite so clear cut as we might expect. We can start our analysis of origins from the fact that the patterns are printed on Dutch wax fabrics. 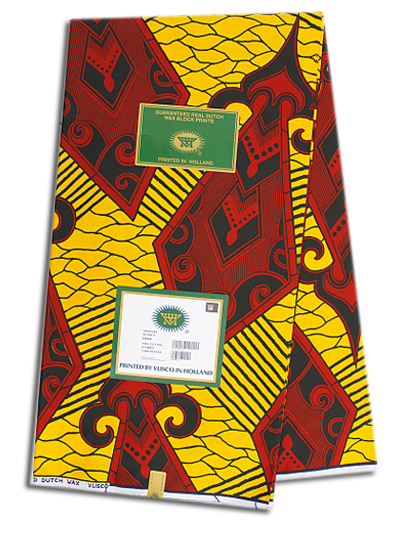 Dutch wax prints are resin-printed fabrics which have been produced in the Netherlands for market in West Africa for many years. However, this is only the beginning of the journey. It is thought that the origins in fact lie in Indonesia. It is widely believed that in the mid 1800s, the Dutch army used West African men as slaves to serve and strengthen their cause in the then Dutch East Indies. On return, some of these men bought locally produced handicraft ‘batik‘ home to Africa. It is unclear whether the idea or actual products were bought back to Africa to be reproduced, only to then become embedded in West African culture. When machine made wax fabrics were produced in Europe in order to offer a cheaper, mass produced alternative to handmade batik to the Indonesian market, they suffered a range of imperfections that did not please local purists. Not wanting to waste their product, the Dutch turned to West Africa to find enterprise in trading the textiles. Unlike Indonesian purists, West Africans actually loved the individual character of the machine made fabrics complete with small lines and dots where the resin cracked and dye seeped through. So much so, that to this day, machines are programmed to print the imperfections onto the Dutch wax prints, despite the fact that modern machinery would in fact create fabrics as perfectly printed as those lovingly crafted by hand by the Indonesian community. So while West African textiles are an important cultural building block, they have a history more complex than meets the eye and with a story deeper than one might expect of a simply characteristic textile worn not just across Africa but now in towns and cities and runways worldwide.